Day Three of the 2018 Qatar Classic saw another eight matches at the Khalifa International Tennis & Squash Complex as Round Two moved to the bottom half of the draw. 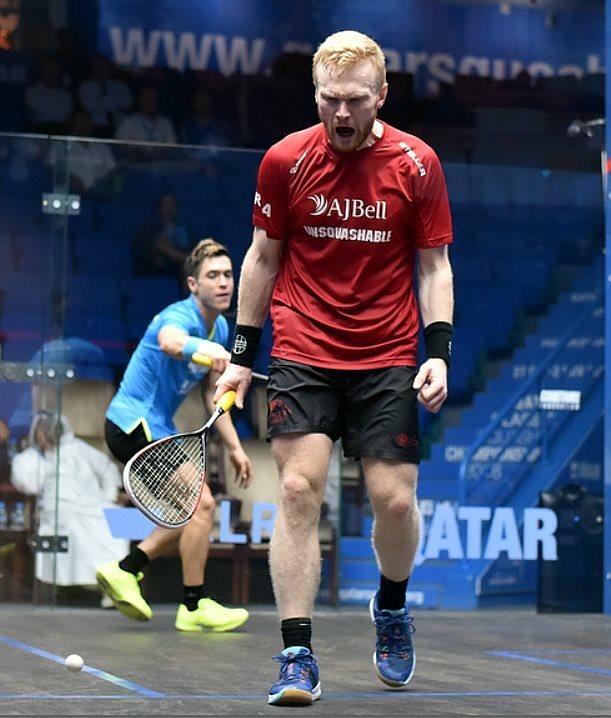 Welshman Joel Makin followed up his win over Mohamed ElShorbagy in the recent Channel VAS Champs with another massive upset, beating 5th seeded British Open Champion Miguel Rodriguez 11-9 in the fifth in a 106-minute marathon. Makin meets Frenchman Mathieu Castagnet, who squeezed past Cameron Pilley after taking a mammoth first game. Sixth seed Karim Abdel Gawad, the 2016 champion here, found himself two games down to young Malaysia Eain Yow Ng before staging a trademark comeback, setting up a meeting with England’s Declan James, who eased past Karim Ali Fathi in three. 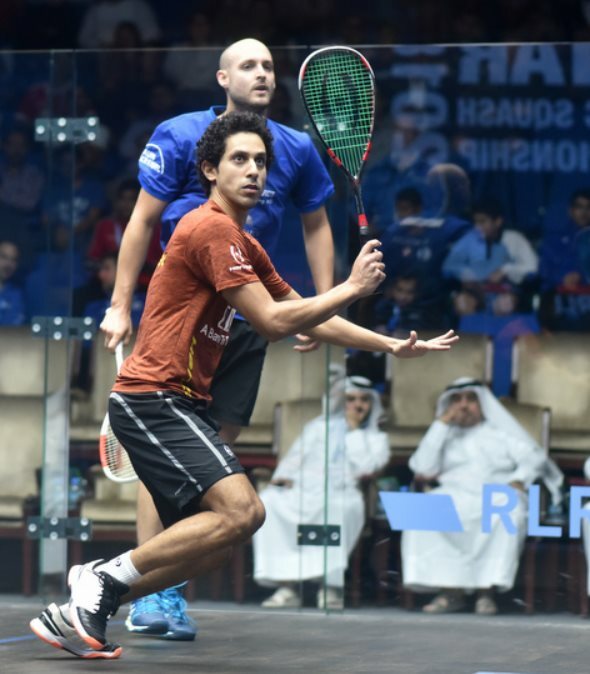 In the bottom quarter of the draw last year’s runner-up Tarek Momen was in scintillating form as he blitzed past Swiss Nicolas Mueller, setting up a match with 2005 Champion James Willstrop, who beat Hong Kong’s Max Lee in four even .games. Another man in form was India’s Saurav Ghosal, who despatched his Asian Games nemesis Leo Au in double quick time. He’ll meet second seed Ali Farag, who survived a five-game all-Egyptian battle, 11-9 in the fifth over Mohamed Abouelghar.